The Indian market has been and continues to be quite sensitive to the fuel efficiency a product delivers. As a general rule, a car or a bike with higher fuel efficiency seems to get preference from the buyer. That said, the newly launched Jawa motorcycles have been selling like hot cakes without the manufacturer releasing any official ARAI certified efficiency figure. The brand, however, has now answered the efficiency question, on their Twitter account today. Both, the Jawa and the Jawa 42 return a claimed 37.5 kilometres for every litre of petrol they consume. Have a look at the tweet from the official Jawa account confirming this fact linked below. With deliveries going on in full swing, it is hard to believe that this brand was resurrected in the month of November, just last year. Moreover, the company had no showrooms during the launch of the brand but today has as many as 95 dealerships spread all across the nation, equipped to sell and service your pride and joy. These dealerships have also established financial partners including HDFC Bank, Tata Capital, ICICI Bank, Mahindra Finance, Capital First (now IDFC Bank), L&T Finance Limited and Hinduja Leyland Finance to provide financial aid to customers. Both these motorcycles are powered by the same, 293cc, liquid cooled, single cylinder, DOHC engine. Despite being liquid cooled, the engine has cooling fins made on the side to mimic the look of the old Jawa engines. Talking about the older bikes, the engineers who were designing this engine were made to focus on the sound it produces and get it as close to the lovely 2-stroke engine note of the older bikes. This engine develops 27 hp and 28 Nm of torque and is paired with a six-speed transmission. The Jawa is priced at INR 1.64 Lakh and 1.72 Lah for the single disc and dual disc variant respectively, where the latter gets dual-channel ABS. The sporty Jawa 42 retails for a more affordable INR 1.55 Lakh and INR 1.63 Lakh for the single disc and dual disc variants. 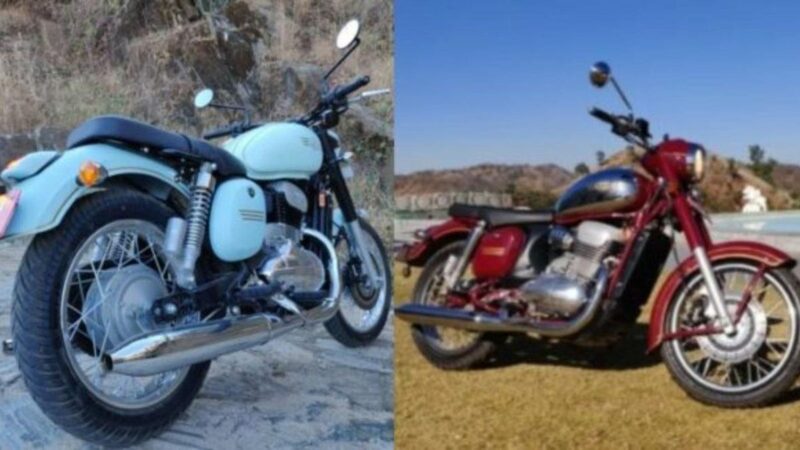 To know more about both these bikes, do have a look at our detailed review of both these bikes, linked below.